The Scout's Antique Copper - Leather Spyglass Telescope 7” with Rosewood Box is a great gift for the young nautical explorer in your life. 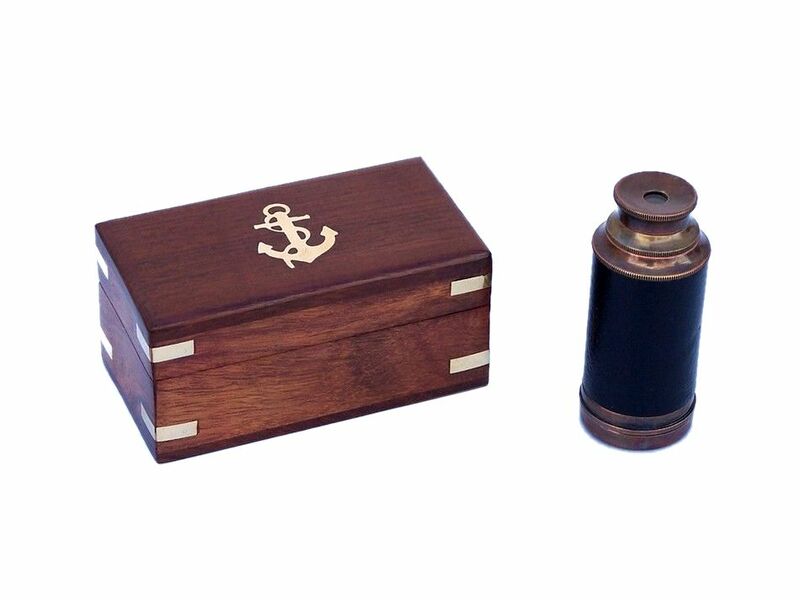 This small copper spyglass is pocket sized, wrapped in a rich stitched leather, and measures 3.5" when collapsed and 7" when fully expanded. The handle of this spyglass is polished antiqued copper and comes with a solid copper cap to protect the lens. Simply adjust telescope length from lens to eyepiece to bring the image into clear focus.